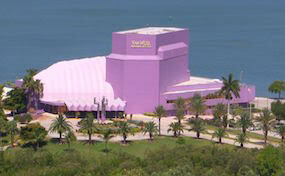 TheatreSarasota.com is not a part of any primary website, venue, and or box office. We are a privately owned and operated company that deals almost entirely in the online retail of all events in the secondary resale ticket market. Many of our prices are above face value but they will fluctuate with demand. To order all tickets to Van Wezel Performing Arts Hall Sarasota events please follow the process online through the checkout or pick up a phone and call our operators at your earliest convenience.